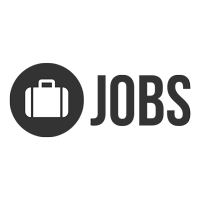 Honolulu Jobboard: Find Honolulu - Hawaii Jobs. New Jobs every day. Free job listing, Free newsletter sign-up, career advice, tips, news, blogs and more about all the dreamjobs in Paradise. Post your job within 2 minutes - 100% free. Step 1: Register with your company name, email and contact. Step two: add your job listing. Candidates will apply online and directly with you. - It jobs and more. More then 15.000 unique visitors every month. Registration is 100% free. Takes only 2 minutes. Create your own personalized resume using our automated system and receive new Honolulu Jobs by email. Follow us and win the new ipad air. Help us get to 1000 followers and we raffle the new ipad. Employers and Recruiters post a job opportunity and make it viewable to all 15.000 visitors (monthly) of possible employees for free. Or search our extensive resume database (Paid service). Job postings are Free (Now and the future). Posting your resume is the way for employers to find you. Create your own personalized resume using our automated system. Search our job bank for new and exciting careers. It’s all absolutely FREE!